It hardly seems that a week can go by without seeing another newspaper story or television report about the decline of the American Educational Establishment. Particularly in respect to mathematics. As a product of said establishment Samuel Hansen can not say that he thinks that it is as bad as the doomsayers would have us all think, but that is not to say that he thinks everything is peachy keen either. There are problems, ranking 25th, out of 34 countries, on the mathematical section of the OECD’s International Student Assessment test, a score they refer to as being Statistically significantly below the average makes that clear. As does the general populace’s ill will towards the subject. The problems are not insurmountable though, in fact Samuel may have spoken to some the people who will help solve them. Dan Meyer is a PhD student at Stanford University. He has also spent 6 years teaching high school math, a year as a Cirriculum Fellow at Google, and is the man behind the popular mathematics education blog dy/dan. 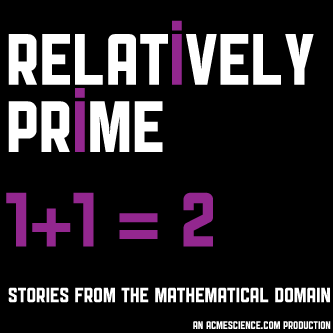 Samuel first heard about him from the TEDx talk that spread like wildfire across the internet mathematics community. Math for America is a non-profit that has made its mission since 2004 to improve the state of USA mathematics education by creating a corps of top notch educators and leaders. In order to accomplish this goal they have created fellowships to support new teachers, established teachers, and mathematics teachers that are going into administration. Samuel spoke with the president of Math for America, John Ewing, in their New York offices. He also spoke with Math for America Fellows Meredith Klein and Patrick Honner. Keith Devlin is the Executive Director of Stanford’s H*STAR institute, a mathematician, an author, an educator, and a World of Warcraft player. When you put all of those things together you get a man both qualified and inclined to think about how video games can be used in mathematics education.